This Pot of Gold St. Patrick’s Day game is simple to play & great for large groups of all ages. All you need is a pair of dice, some string, gold candy & a pot! Like it? Pit it to your ST. PATRICK’S DAY pin board! At first read this game probably doesn’t sound that fun, but it’s one of those games that is way more fun to play than to read about. You could easily play all year long but with St. Patrick’s Day right around the corner, this game is a no-brainer for the holiday. You could even toss in some Lucky Charms or a pot of gold candy for the winner! We always play this with these 12 hilarious St. Patrick’s Day games and a leprechaun scavenger hunt for the kids! Tape a piece of string to each piece of candy. Have all of the players sit in a circle and give each person a piece of candy on a string and three gold coins. Everyone in the circle should put their candy in the middle of the circle and hold onto the other (unattached) end of the string. Choose a person to go first (we do the person whose birthday is closest) and that person will put remove their candy from the middle and will pick up the pot lid in one hand and the dice in their other hand. The person who has the dice rolls the dice up to three times. 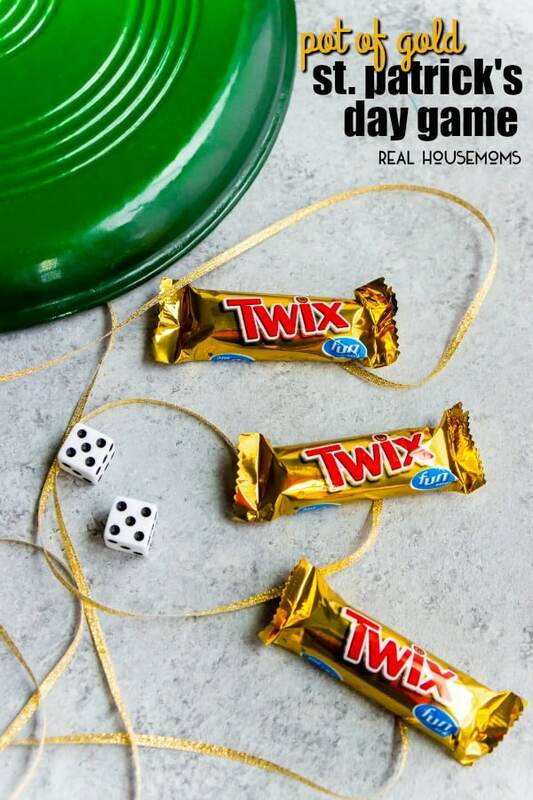 If they roll doubles during their turn, they immediately use the pot lid to try and trap other people’s candy in the middle of the circle by quickly slamming down the pot lid over the candy. Everyone else tries to get their candy out before it gets trapped. Once a person rolls doubles and traps the candy, their turn is over and they hand the pot lid and dice to the next player in the circle. 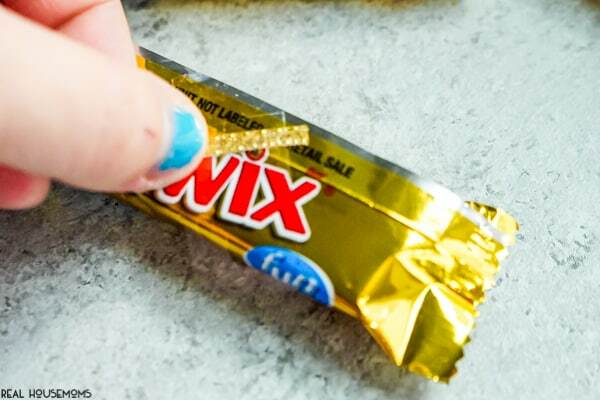 If the person traps anyone’s candy with the pot lid, the person whose candy was trapped gives the person with the pot lid one of their gold coins. Move the pot lid and dice to the next person on the left in the circle and they’ll get their turn to try and roll doubles. Repeat around the circle. If someone runs out of coins, they are out. Continue playing until only one person is left with coins and that person is the winner. If someone uses the pot lid to trap the candy and doesn’t actually have doubles (even if they think they do), that person must give one coin to everyone in the circle. 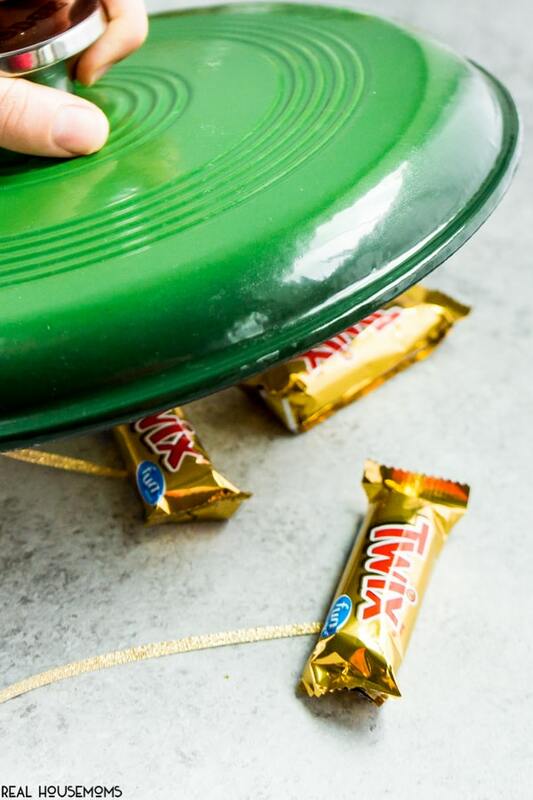 The person with the lid can fake trapping the candy even if they don’t roll doubles; if they fake trap the candy and someone believes the fake, flinches, and pulls their candy out – the person who flinched gives the pot lid holder a gold coin. Anyone who is not holding the pot lid should have their candy in the middle.